What is C3fit and how does it work? Can I wear C3fit garments for activities other than sports? C3fit™ garments can be worn after an activity for better recovery. C3fit™ garments also help to reduce the swelling and fatigue associated with prolonged periods of standing, deskwork and travel. Can I wear C3fit garments when sleeping? We do not recommend wearing compression garments when sleeping since there is less need for compression where there is minimal effect of gravity. Should I wear an underwear underneath C3fit? C3fit tights can be worn with or without underwear. If you choose to wear an underwear, we recommend a fitted one. 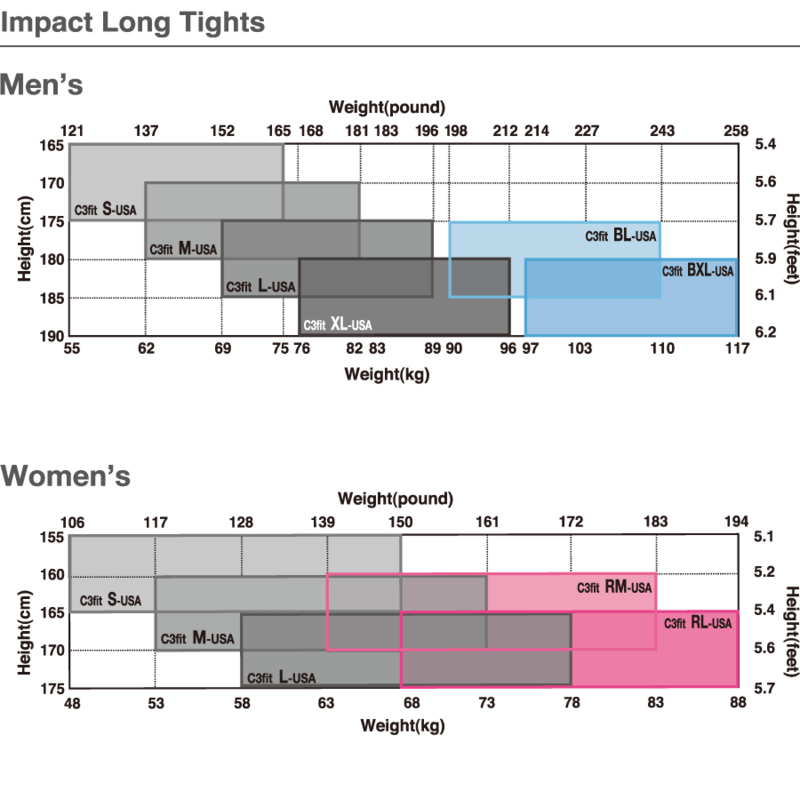 What socks should be worn with C3fit garments? We recommend short ankle socks. If wearing with sleeves or full-length tights, we advise you to wear your socks over them. The use of compression or knee-high socks that overlap sleeves and full-length tights (above the ankle) is not recommended due to the risk of cutting the circulation and a loss in balanced graduated compression pressure. 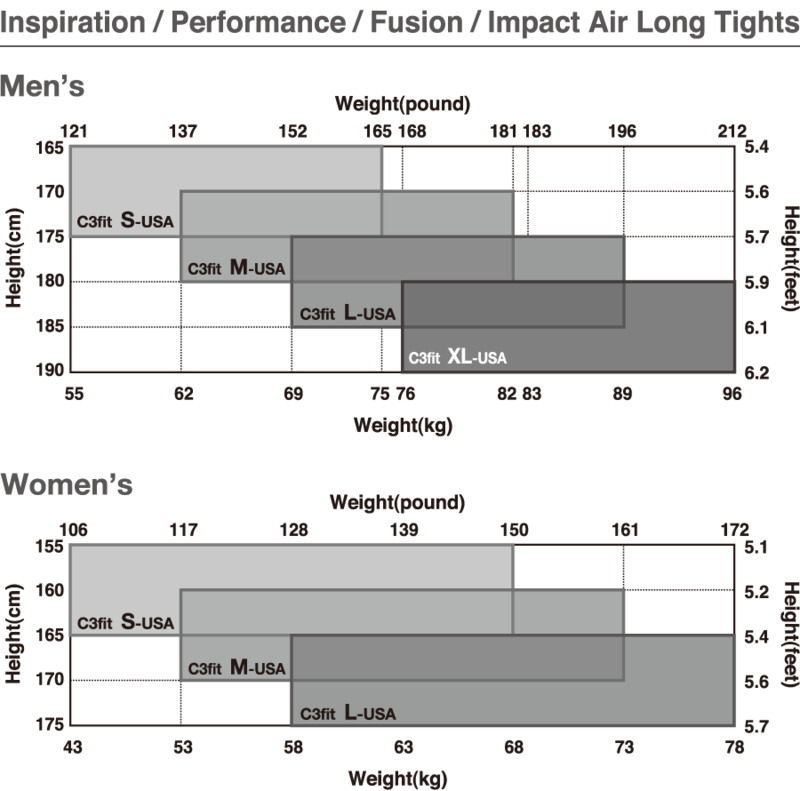 Will Perfomance Calf Sleeves slip down? 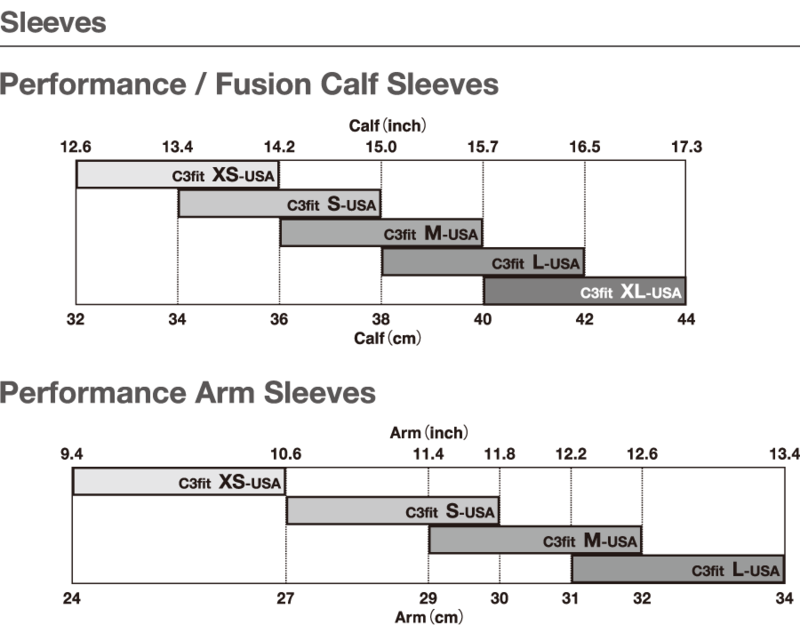 C3fit™ Performance Calf Sleeves is designed to stay in place. However, slipping down may occur depending on individual differences in physique and fit. 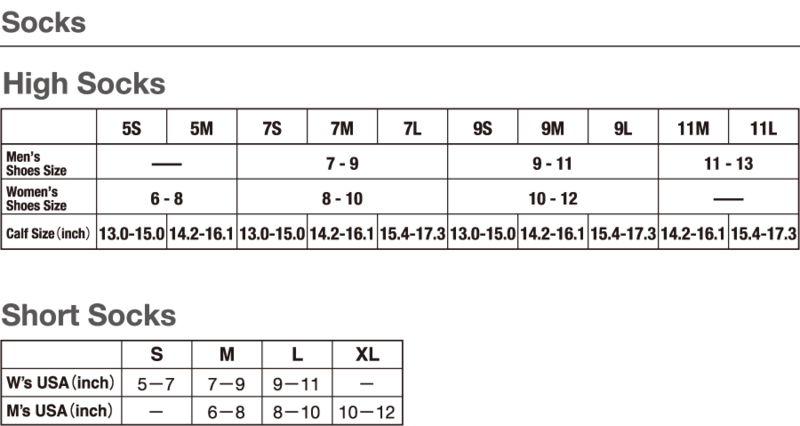 There are other compression garments available in the market. What benefits do C3fit offer that others don't? C3fit is a compression wear brand that includes items filed for general medical device of graduated compression tights by Japanese Ministry of Health, Labor and Welfare. All items use locally procured materials, and are developed, designed, and manufactured in Japan. *Certified general medical device for graduated compression include Performance Long Tights, Performance Calf Sleeves, Comfort Calf Sleeves, Arch Support High Socks. Will C3fit garments weaken muscle strength? C3fit™ products do not reduce muscle strength. They are designed to improve athletic performance during an activity and to reduce swelling and fatigue in daily life, and have no adverse impact on your current muscle strength. Can I wash C3fit garments? All C3fit™ products are machine washable. See the "Washing Care Label" on your garment and attached document "Caution on Washing" for details. Do C3fit garments offer UV protection? All C3fit™ products offer 40+ UV protection for safety in the sun (measured value at 30% stretching).